Choppy Waters: Will the future of boating ever find smooth sailing? Boating advocacy groups and agencies acknowledge the fluctuating state of the industry, but what solutions lay ahead? NATIONWIDE — The calendar has officially flipped over to 2019 but the recreational boating industry finished 2018 trying to grapple with its future. 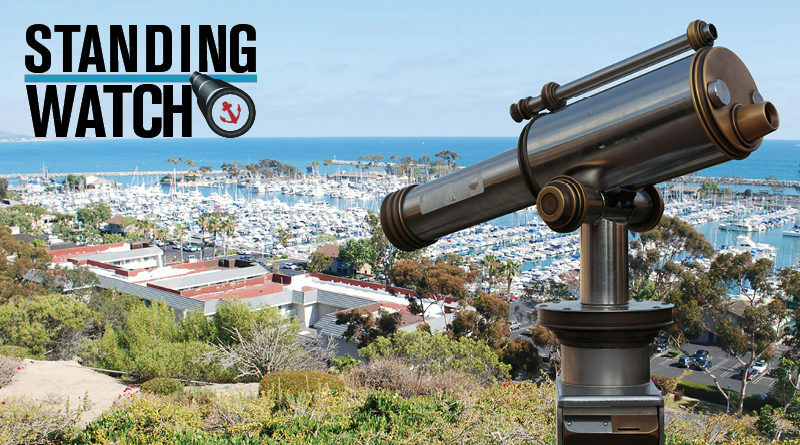 California’s Division of Boating and Waterways (DBW), at its November 2018 meetings, openly contemplated whether the industry is evolving enough to welcome a new generation of boaters. BoatUS, National Marine Manufacturers Association (NMMA) and other boating industry leaders convened a panel of experts (also in November 2018) to discuss the evolving needs of recreational boaters. “Evolving” is clearly the common thread between the DBW meeting and BoatUS/NMMA panel, indicating the recreational boating industry acknowledges the need to adapt and adjust … or be left behind. Acknowledging the need to adapt and evolve is a necessary first step to ensuring the recreational boating industry continues to be handed down from generation to generation. The acknowledgment, however, is meaningless without action. What, exactly, is the action – this is the $64,000 question. Mark Brown, president, National Association of State Boating Law Administrators. Members of the Division of Boating and Waterways Commission, meanwhile, talked about using economic opportunity zones to create favorable conditions for boating, particularly at geographic areas targeted for waterfront redevelopment (the L.A. Waterfront revitalization in San Pedro, for example). The recent chatter isn’t new, of course, as industry leaders have been talking about the future of recreational boating for quite some time now. Where is the discussion headed, however? What will be done to ensure all the talk about evolving is something more than just … talk? Pursuing a legislative agenda focusing on the “evolving needs of recreational boaters,” an NMMA press release stated, was a priority talking point among those attending the November 2018 BoatUS panel in Newport Beach. What should these legislative endeavors look like? Can a bill proposed in Sacramento, for example, help get more boaters out onto to water in Marina del Rey or Santa Barbara? What incentives would be included to motivate a casual or non-boater ramp up interest in boating (particularly among those younger than, say, 50)? Could legislators offer tax breaks for first-time boat owners? Maybe offer Free Boating Days (similar to California’s Free Fishing Days)? Legislation, of course, isn’t the only passage of evolution and adaption. What should recreational boating industry leaders be doing to strengthen connections with casual or non-boaters (regardless of age range or demographics)? Can brokerages find ways to collaborate with boat-sharing clubs? Are there innovative boat ownership models that would help rope in as many potential boat owners as possible? What other questions are being asked (and should be asked)? ← The Future is Now: Does Boating and Waterways Need to Evolve? Interesting that yacht clubs and marina operators were not part of the panel. Membership at yacht clubs is generally lagging. Many marinas see falling occupancy rates. One reason is the ever increasing cost of boat ownership (especially non-trailerable vessels). It is hard to come up with $600 or more each month just to dock or moor a vessel. Add increasing fuel prices, rising insurance rates, more government oversight (PFD laws, operator cards, etc. ), and the always increasing maintenance costs, and that motorhome, flight abroad, or road trip looks better and better. Perhaps those providing services (or legislating) to the recreational marine population should examine the role they play in the downward trend in boating and adjust their expectations (and wallets) before the ship sinks. Solutions, of course, aren’t always easy to come by – nor are the discovery of solutions the goal of this Standing Watch column. The policymakers and industry leaders appear to be motivated to do something, and the only way they’ll develop the right action is by interacting with as many boaters (or interested boaters) as possible. The Log encourages our readers to interact with policymakers and industry leaders as much as possible. Below are a few people you can contact and begin a conversation about the future of recreational boating. Such conversations, hopefully, will help those in power convert their talking points into action, results … and evolution.